and most I ever did over my adult life had something to do with music. For almost 15 years I have been working as music teacher. I have led various ensembles, choirs and even school orchestra. I have staged my own musical and organised my own folk ensemble. While teaching others I have come to realize that almost everyone actually wants to play music and almost everyone is perfectly capable to do so. Only thing missing usually is access to simplest of musical instruments. Ones which would be both user-friendly for student and easy to explain for teacher. Quick look into our folklore and one understands that we don't have to search too far for an answer. Wide variety of locally made and self-taught folk music instruments have always been part of the daily life for our ancestors. All we have to do now is to restore the knowledge, protect and multiply it in any way we can. And this is why and how this workshop came about. 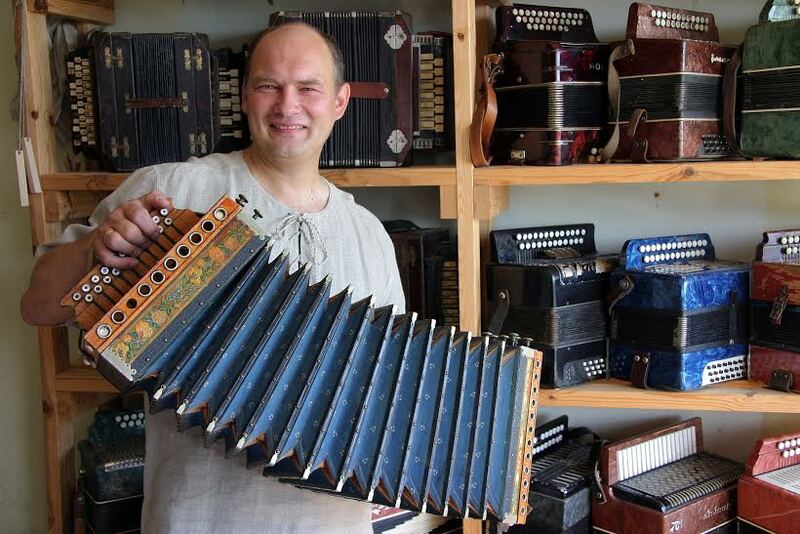 Currently producing range of various folk instruments of Latvian or wider Baltic origin as well as ones known more commonly. All being perfect to use at home individually, for educational purposes in schools and kindergartens or to be used professionally. Try one for yourself - I'm confident you will succeed!